Not only am I going to share my Show-Stopper Carrot Cake recipe today, I’m also going to let you in on a few favorite tips for cake making that just might turn you into a Cake Baking Pro! Baking cakes takes a little patience but if you make the cake layers ahead of time and freeze them, you can break up the process into doable portions so you don’t feel overwhelmed with being in the kitchen for five hours baking AND decorating the cake. 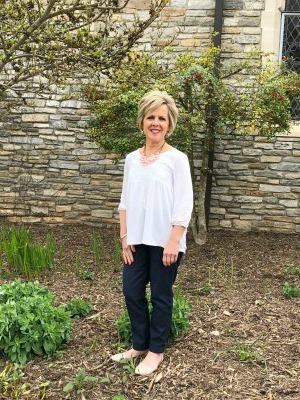 I LOVE Southern Living recipes, and I really, really, LOVE their cakes. It seems that they take a simple recipe and just take it over the top! I have made several of their cakes that have become some of my all time favorites. The Blackberry Raspberry Truffle Cake and Coconut Cake are two. 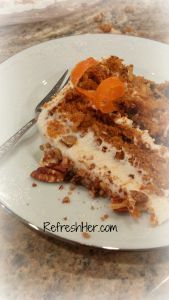 They will stay on my list for special occasions, but I’ve recently found another one – it’s for The Ultimate Carrot Cake! 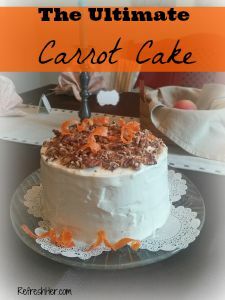 I made this because my husband is a fan of Carrot cake, but honestly, this recipe has changed my mind about this old classic! In my standard fashion, I made the cake layers a few days in advance and froze them so that the icing and assembly would be faster and easier. The cake rose beautifully and was very moist. The icing calls for 7 cups of powdered sugar – I only used 5. It was delicious! Then the thing that was the “Icing on the Cake” (ha!) were the carrot curls on top. They are so yummy and resemble fruit leather. They were not hard to make and made a pretty presentation and a nice little added treat to each piece of cake! So, be sure to add the pretty embellishment, because it’s more than just decoration! 1. Preheat oven to 350°. Toss together first 3 ingredients; spread in a single layer in a foil- lined pan. Bake 10 minutes or until toasted, stirring once. 2. Stir together flour and next 4 ingredients. Beat butter and both sugars at medium speed with an electric mixer until blended. Add oil; beat until blended. Add eggs, 1 at a time, beating just until blended. 3. Add flour mixture to butter mixture alternately with buttermilk, beginning and ending with flour mixture. Stir in vanilla; fold in carrots, next 2 ingredients, and 1 cup toasted pecans. Spoon batter into 3 greased (with shortening) and floured 9-inch round cake pans. 4. Bake at 350° for 23 to 28 minutes or until a wooden pick inserted in center comes out clean. Cool in pans on wire racks 15 minutes. Remove from pans, and cool completely. Spread Brown Sugar-Cream Cheese Frosting between layers and on top and sides of cake. Top with Candied Carrot Curls and remaining toasted pecans. Do you have any Southern Living Cakes that you make regularly? Tell me about them! I’m always on the lookout for a recipe to add to my collection!